Blucarat is taking social commerce to a whole new level. The company offers a software solution that helps retailers incorporate social communities into their e-commerce site. Through the solution, retailers can add interactive social features to their sites to increase engagement, conversions and average order values. According to Blucarat Chief Marketing Officer Kieran Taylor, the solution is ideal for bringing social conversations closer to the place where transactions are actually occurring. Beauty retailer Laura Geller is one of the first adopters of Blucarat’s technology. 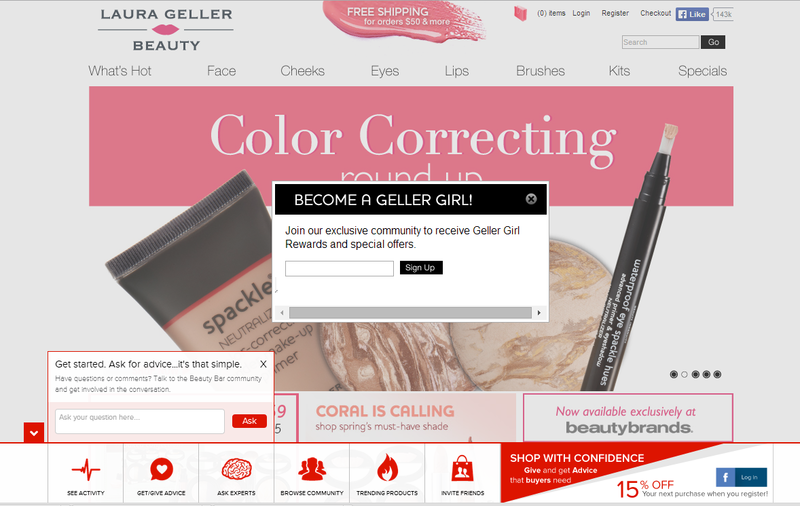 The retailer leveraged the solution to create a social community full of “Geller Girls” on the company’s website. Through Blucarat, Geller Girls have access to a “Beauty Bar” at the bottom of the site, which features recent site activity, enables members to ask for or give beauty advice, as well as check out trending products and invite friends to become part of the social commerce community. Moreover, the retailer offers new members an incentive of 15 percent off their next purchase for becoming part of the community. After almost a year of implementation, the Laura Geller site saw per visitor page count rise by 1.5 times and shopper conversion rates increase by 2.5 times. Blucarat-enabled shoppers also spent two times more time on the site. It is also important to note that the social conversations can be fused with the retailer’s catalogue, which can help increase visibility for slower selling items. Blucarat also allows retailers to filter out language and block competitor links. Plus, the cloud based SaaS solution is customizable and can be implemented into sites fairly quickly. Lastly, the solution works on mobile devices, enabling retailers to offer a consistent experience across screens.